Charles Garvin was appointed to the faculty as assistant professor in 1965, moving though the ranks to full professor in 1972. 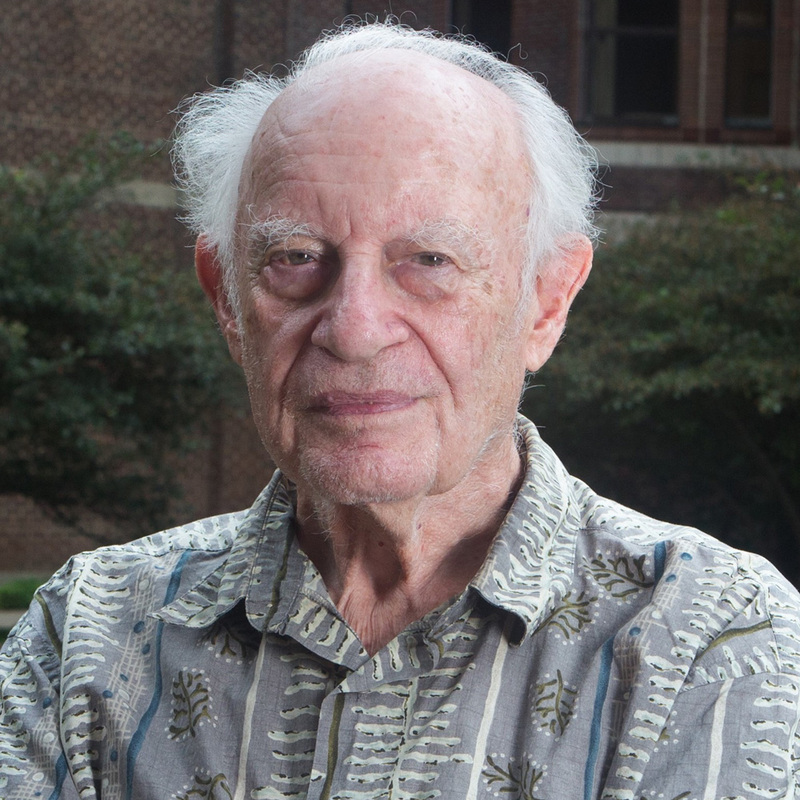 He was named professor emeritus in 2001. Professor Garvin's major interests are the development of effective procedures for all types of social work with groups and for the rehabilitation of individuals suffering from both a mental illness and substance abuse (i.e., persons with a dual diagnosis). His current research activities are related to these two foci. His group project is an examination of how different societies conduct programs for the amelioration of conflicts among youth groups based on ethnic, social class, or cultural differences. His rehabilitation project is on the development and testing of a family intervention for dually diagnosed individuals who are unmotivated for treatment. Garvin also has extensive international interests in social work and has recently worked with colleagues in Hungary, Poland, Macedonia, and Croatia. Other areas of research/scholarly interest: interpersonal practice, interpersonal violence. Professor Garvin taught courses on group work for over thirty years. He was engaged in full-time group work practice for a dozen years prior to his teaching career and has been in part-time practice since then. He has consulted widely on the development of group services. He is the author of three editions of Contemporary Group Work and two editions of Interpersonal Practice in Social Work (with Brett Seabury) and Social Work in Contemporary Society (with John Tropman). He has written extensively on group work topics such as the use of groups in correctional, mental health, community, and substance abuse fields. He is a board member as well as founder and past chairperson of the Association for the Advancement of Social Work with Groups. In the School of Social Work, he has held such positions as director of the Joint Doctoral Program (1989-96), Curriculum Committee chair, Multicultural Committee chair, and chair of the Interpersonal Practice program. Interpersonal practice gender/ethnicity, group work, long-term mental illness. Garvin, C. D. (2016). Social Work and Social Justice: Concepts, Challenges, and Strategies. Oxford University Press. Garvin, C. D., & Tolman, R. M. (2015). Group Work Research. Pocket Guides to Social Work Research Methods Series. Oxford Press. Reed, B. G., Ortega, M., & Garvin, C. (2010). Small group theory and social work practice: Promoting diversity and social justice or recreating inequities? In R. Greene & N. Kropf (Eds. ), Human Behavior Theory and Social Work Practice: A Diversity Framework. N Y: Aldine de Gruyter. Garvin, C., & Bargal, D. (2008). An introduction to the project: Rationale and development. Small Group Research, 39(1), 3-16. Garvin, C. (2008). Project program development and implementation. Small Group Research, 39(1), 60-81. Bargal, D., & Garvin, C. (2008). Summary and implications for the next stage: an epilogue. Small Group Research, 39(1), 104-110.